Content is a valuable asset. It serves as a way to increase engagement and the experience your users have with your brand. However, good content isn’t easy. Creating content that people find useful and valuable takes time and resources. When you do find the content that resonates with your audience, don’t stop there! Take that exact piece of content and reuse it to broaden your audience. Here are five great ways to repurpose content. Head first to your blog analytics. Pick out the blog topics or even specific posts that performed the best based on views and engagement. Topics that performed the best ensure that content is what people are looking for and by presenting it in a different way, you’ll reach a whole new audience with little effort. There are several ways to repurpose blog content, but video is a great one to try first. Break a single blog post into several different chunks and create several 2-3 minute videos for social media or even as a script for a Facebook Live series. Creating videos brings your content to life and further increases engagement. Social media is also a great platform to get ideas for what people find the most valuable. Did you post a question or link to an article that got lots of likes or engagement? Follow that up with a short webinar on that topic. Once you have the webinar ready, reply to those who engaged with that post and invite them to sign up for your webinar to learn more as a part of your promotion strategies. Webinars and events can use a lot of resources, time, and energy to put together for a one-time audience. Extend the life of that content and turn it into something such as an infographic. For example, if your webinar was on ‘The Best Ways to Save for Retirement,” you could create an infographic that visually depicts the top ten ways to save for retirement. As an event follow-up, send out the infographic as a reminder to attendees and then go the extra step and use it on social media, email campaigns, or your eNewsletter to those who could not attend. This will show your audience what they’re missing and entice them to sign up and attend the next event. If you have several blogs on the same topic, the best way to reuse that content is by arranging it in a downloadable offer to increase your conversion rates. The hard part, creating the content, is complete, you’re simply repackaging it into a bigger offer that is easier for people to access. For example, if you run a dental office and have several blog posts on dental care for children, combine all of those posts into one, comprehensive guide on “The Complete Guide of Dental Care for Children”. Take that guide and make it an offer, meaning readers will have to exchange their email address and other information for access to the downloadable PDF. Attach this offer to each of those blog posts within the category of dental care for children to get the most conversions. Downloadable offers also make great email campaigns. Use the content from a checklist or a worksheet to create 3-4 emails and end with offering them a full download of the complete offer. This tactic is helpful to re-engage someone who has not been active on your site in a while, or even just downloaded a similar offer. Use it as an engagement strategy to build trust and influence with your audience. The possibilities are endless when it comes to content. 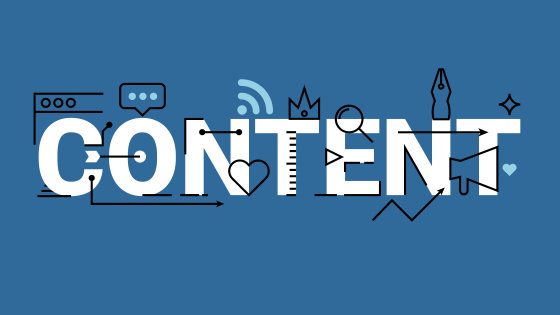 Everyone reacts to content differently, so repurposing your content multiple ways allows you to ensure the most views for the littlest amount of effort. If you are interested in learning more about content best practices, subscribe to our eNewsletter!